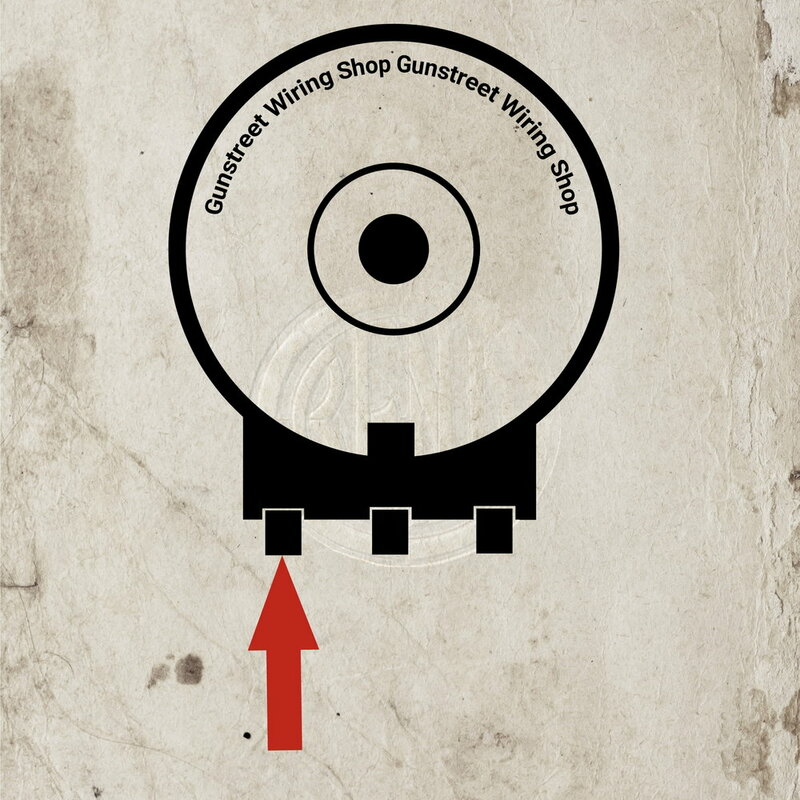 Thank you for choosing Gunstreet. Below is the step by step instructions for your phase volume bleed wiring. Please note that these instructions are best used when paired with the wiring diagram we included in your box. For this tutorial we will be using Seymour Duncan Color Codes. Black is the Hot, Red and White soldered together is the Series, and Green is the Ground. Each pickup brand uses their own set of color codes. So, these colors might not match your pickups. We have included this diagram showing you all the color codes for other brands. 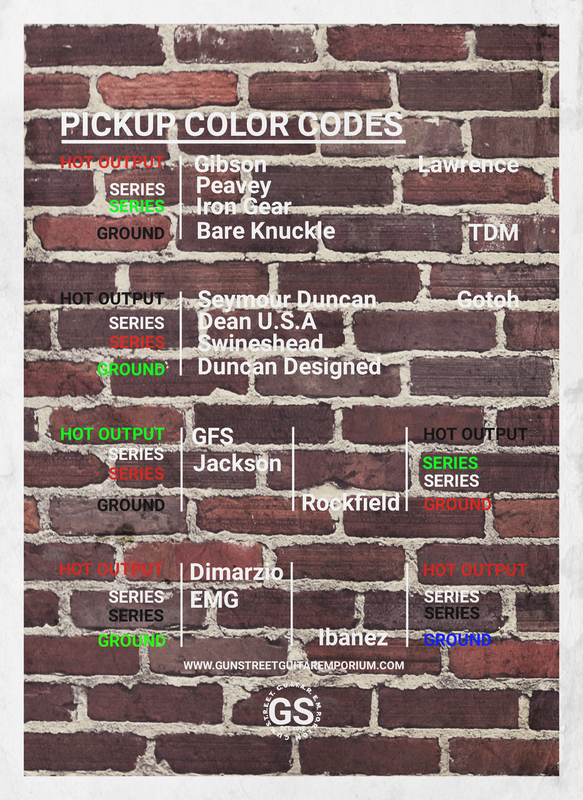 Make sure to take note of what color is what with your pickups as we will use the term the color represents. Start by first soldering the Bridge pickups Hot Wire to the White Hot Input on the Bridge Tone Control. Next solder your Bridge pickups Ground Wire to the Black Ground Input Wire on the Bridge Tone Control. Solder your Neck Pickups Hot Wire to the first lug on the Neck Volume Pot. See the Diagram to the left if you don't know which lug is the first lug. Finish the Neck Pickup Install by soldering the Neck Pickups Ground wire to the casing of the pot. if you are using a pickup with either a 4 conductor or shielded 2 conductor wire, solder the ground wire and bare together and solder it to the casing of the pot. NEXT FINISH THE WHOLE INSTALL BY SOLDERING THE GUITARS GROUND WIRE THAT IS COMING FROM YOUR GUITARS BRIDGE TO THE CASING OF THE NECK VOLUME POT.